The third and final season of the 2016 Fantasy Comic League begins in September. In an effort to improve the process of sharing the Fantasy Comic League with the Mixed Marvel Arts community, we have compiled a set of hero tiers based on presumed September appearances. 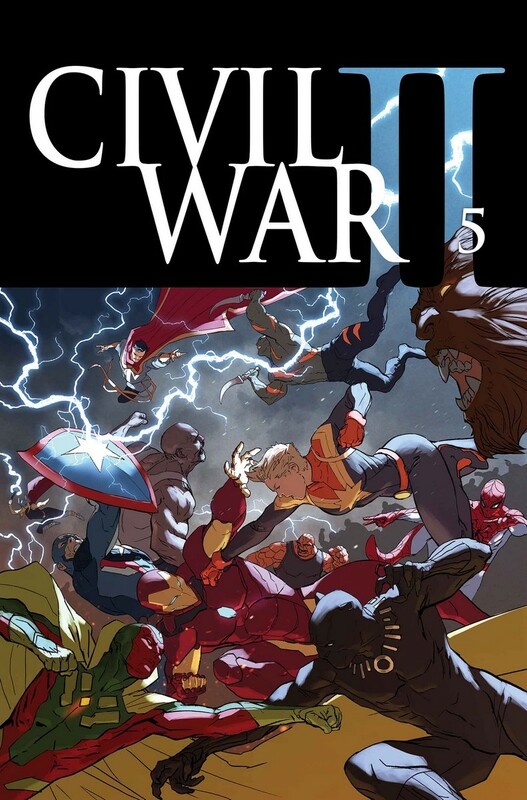 These appearance estimates are based on comic solicitations and cover artwork previews provided by the Marvel Database wiki. Character names, team designations and power sets are revised to conform with the most current information found on the Database. 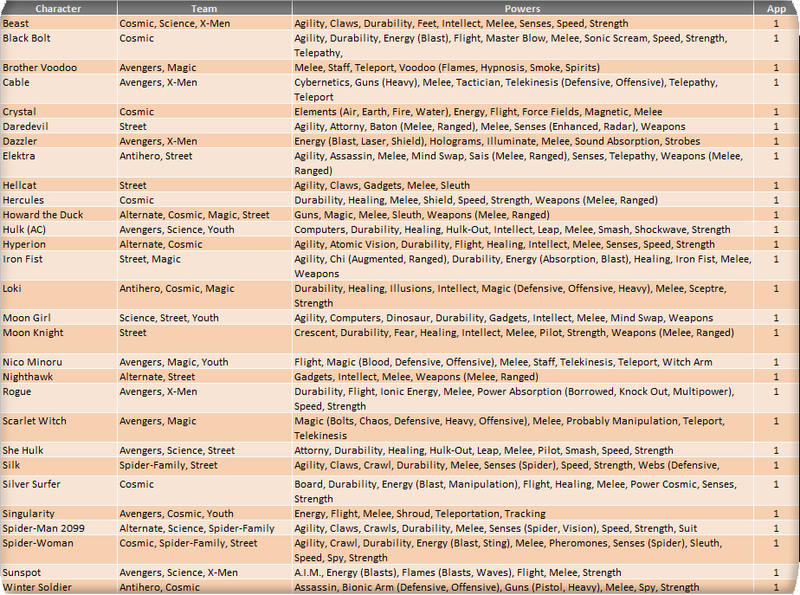 Power designations have also been simplified for easier classification and choice, providing the majority of the heroes with 9 to 11 eligible powers from which to choose. As a reminder, you may only have one hero per team designation on your roster and are allowed to select three powers from the heroes’ power set. Powers in (parenthesis) are a subset of the overall ability and can be selected as well as the generic use of that power. For example, Deadpool (a Tier 1 hero) can be drafted as any of his four team classifications and can use Weapons, Blades and Guns as his three powers (Blades and Guns being a subset of the overall Weapons skill). The Mixed Marvel Arts encourages others to follow along with our official Fantasy Comic League beginning in September, as well as run your own league with your friends. Please follow along with our #FantasyComicLeague tweets on our Twitter for official power scoring and for your chance to join the official league and win a trade paperback collection of your choice! Edit for clarity: The tiers do not have any bearing on the draft rules. Hero tiers serve as a visible representation of how well a hero is expected to perform and should be used as a guide to help you draft your heroes.